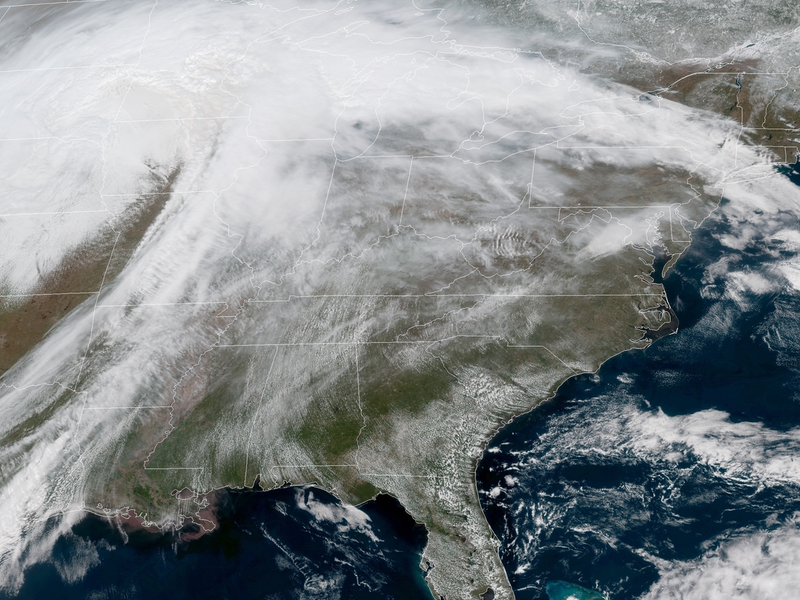 A massive spring storm is bringing blizzard conditions to several central U.S. states, leading officials to close hundreds of schools and hundreds of miles of roads. Parts of South Dakota have seen up to 18 inches of snow, and "thunder snow" — snow that falls along with the crash of thunder and the flash of lightning — was also reported in the central part of the state. "It's essentially a thunderstorm, but it's cold enough for snow," Mike Connelly, a weather service meteorologist, told the Associated Press. Minnesota has faced snowfall rates of up to 2 inches per hour. Hundreds of schools canceled classes Thursday. More than 200 accidents were reported throughout the state. A video from the Minnesota Department of Transportation shows every power line down along a length of Highway 59 near Fulda, in the southeastern side of the state. In Minnesota, the bad weather will continue through Friday, with winds gusting to more than 50 mph, according to the National Weather Service. Some of the snow might be tinted orange, the Twin Cities NWS said. "The color is likely due to dust that was blown by high winds all the way from west Texas." Whiteout conditions were reported Wednesday night northeast of Denver to the Nebraska state line, Colorado Public Radio reported. Some major roads were closed for hundreds of miles because of poor visibility and blowing snow. Colorado DOT closed 150 miles of Interstate 76, and Interstate 70 was closed between Kansas and the Denver metro area, CPR said. In Nebraska, Interstate 80 and Highway 30 were closed on Thursday morning between Lexington and Wyoming — a distance of about 200 miles. As NPR's Bill Chappell reported, "the storm came ashore from the Pacific Ocean on Sunday and Monday, bringing heavy rainfall and floods to Oregon" and leading to evacuations there. Snow in April is "certainly not unheard of" in many of the areas hit by this blizzard, but "this storm is a big one, and not just for April, but any time of year," said Ian Livingston, a forecaster at the Washington Post.